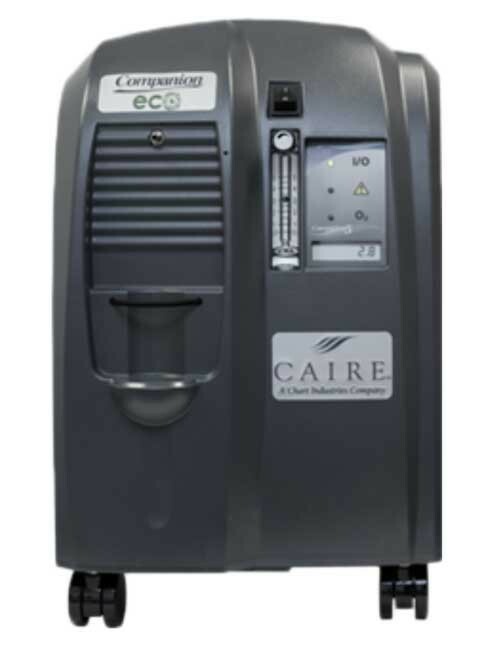 5 Liter Oxygen Concentrator with OCSI Oxygen Monitoring, 3 Year Warranty - SHIPS FREE! 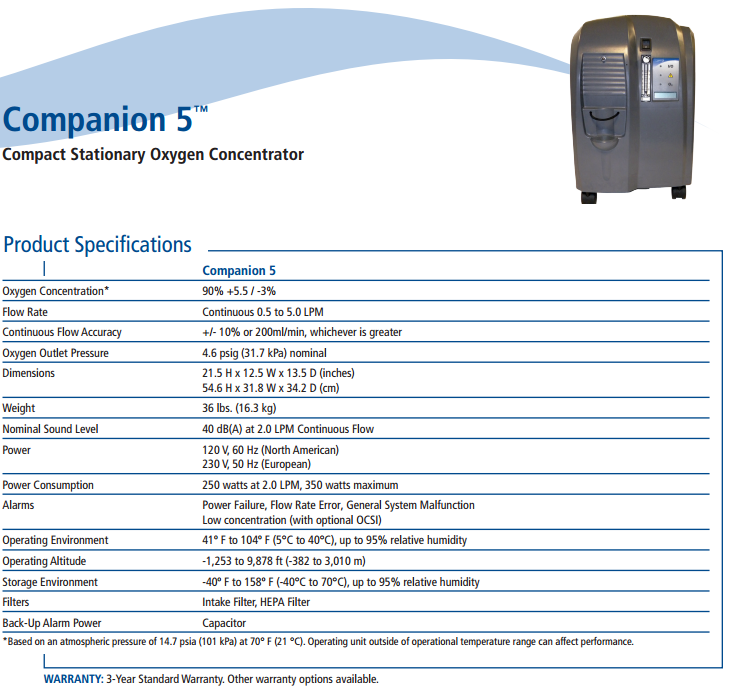 Companion 5 is a 5 Liter Stationary Oxygen Concentrator developed for economical home use. The powerful, yet efficient, Companion 5 Concentrator offers continuous flow oxygen at 87-95.5% concentration and up to 5 LPM. Operating altitude has a wide range from 1,253 feet below sea level to 9,878 feet above sea level -- perfect for those in mountainous regions. Consuming just 250 watts at 2 LPM, this concentrator will not break your utility budget. To suit a wide variety of oxygen users, a Companion 5 is available with or without an oxygen monitor alarm (OCSI Oxygen Monitoring) that alerts when oxygen purity levels dip below 85%. 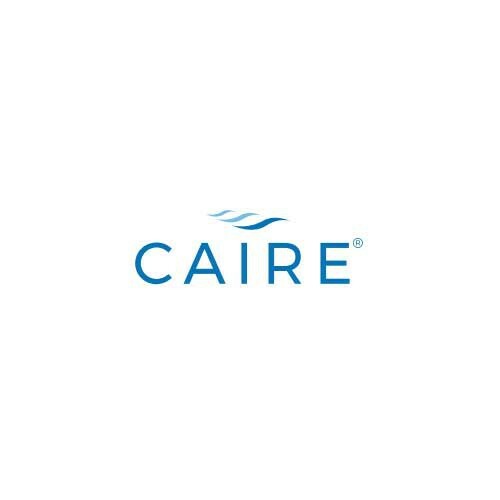 Manufactured by CAIRE, the Companion 5 Home Oxygen Concentrator provides unmatched usability. The interface and controls for the Companion 5 are simple and ease to use. User-friendly LED lights and audible alarms help increase the control and safe use of this machine. The oxygen gauge is large and easy to read, and the large, front-mount buttons are easy to find and press. A simple and intuitive rotating knob controls the oxygen flow. The humidifier bottle stand is integrated into the front panel of the concentrator for easy access and setup -- ideal for those in drier climates or with a sensitive nose. 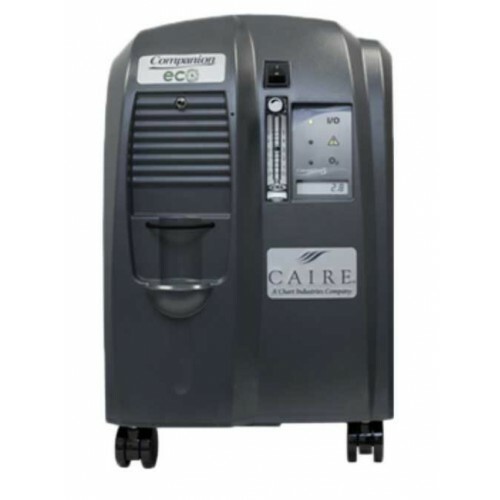 Companion 5 Stationary Oxygen Concentrator is compact and lightweight. Weighing only 36 pounds, this oxygen concentrator is easy to lift and transport. Four caster-wheels enable the unit to effortlessly glide across carpeting or other common floor surfaces. This Home Concentrator is 12.5 inches wide, 21.5 inches high and 13.5 inches deep. Its small profile is easy to position near a bed or furniture without taking up too much room. 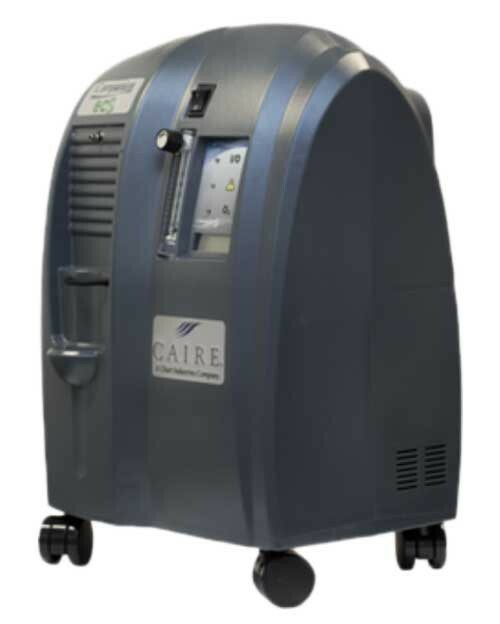 Companion 5 Oxygen Concentrator employs both autoFLOW and ultraSILENT technologies to provide highly efficient, and less obtrusive, Oxygen Therapy. This technology enables the machine to have lower power requirements and emits less noise -- Companion 5's maximum power draw is only 350 watts and it emits a hushed 40 dBA when operating at 2 LPM. 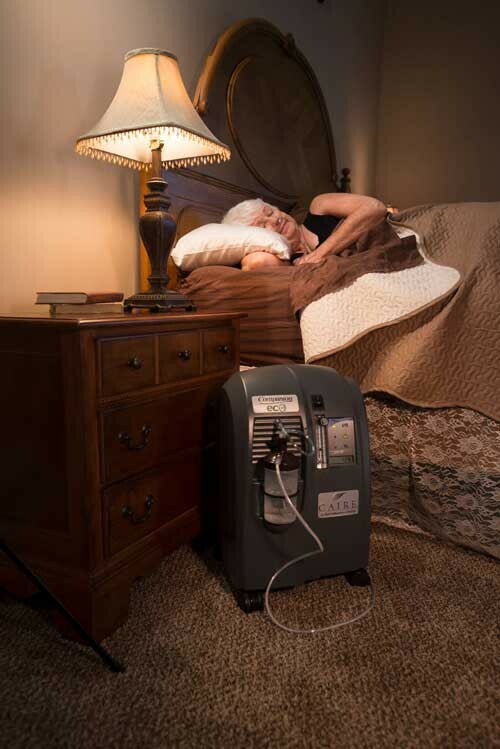 This noise level is similar to a quiet conversation or the hum of a home refrigerator, meaning this Oxygen Concentrator won't keep you up at night. Making ownership even easier, the Companion 5 Concentrator only requires maintenance every two years! The intake filter is easily accessible through a handy filter door, allowing for quick inspections and replacements. Rental Program -- Try a model before buying. Or rent a concentrator to take on a trip. Generous Buy Back program -- Your satisfaction is important. If you're not happy with your concentrator, we'll buy it back and get you the right one. Loaner Program -- Should anything happen to a concentrator from us, a loaner will be provided while yours is repaired. Certified Oxygen Concentrator Specialists -- Knowledgeable team members will answer any oxygen questions. Vitality Medical's founder, a Registered Nurse, knows that Oxygen Therapy Devices are life-essential. Our company has a cross-company Oxygen Concentrator committee that has developed an Oxygen Concentrator Specialist Certification. To assist you, our Specialists must pass a 50-question exam in 35 minutes with a score of 94% or better. Because Vitality Medical's Oxygen Concentrator product line continues growing, our Specialists must recertify every six months. ultraSILENT technology for noise-sensitive patients. Produces high oxygen purity levels. autoFLOW technology that adjusts valve cycles to reduce power consumption. Low maintenance reduces time and money for up-keep. Long maintenance intervals of 2 years. Easy access to intake filter for quick inspections and replacement. Minimal internal parts and connections offer less opportunities for things to break. Strong metal cannula barb for easy oxygen tubing attachment -- no accessories needed. Sturdy rollerbase with an integrated top handle provides easy transfer from room to room. Compact size eases transit down narrow hallways and around obstacles. Offers up to 5 LPM of continuous flow oxygen. 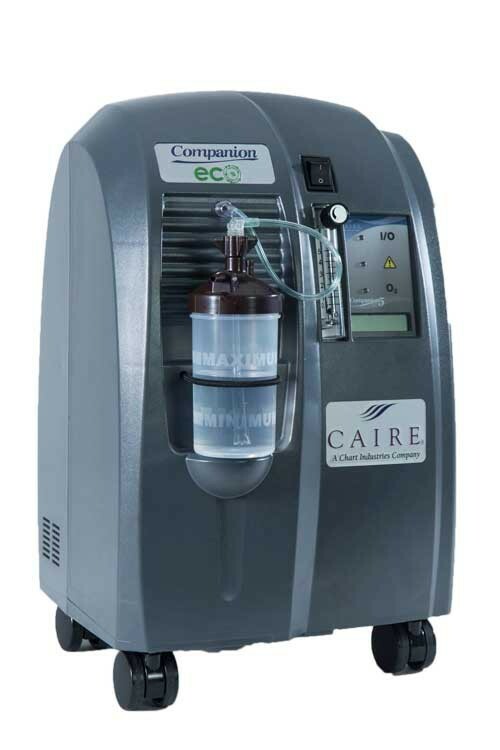 Companion 5 Features discuss the advanced technology and capabilities of this oxygen concentrator. 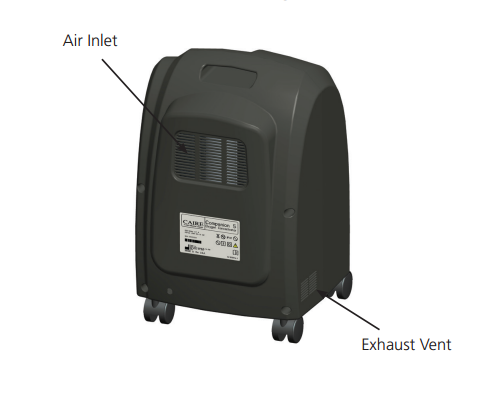 Companion 5 User Manual covers safety guidelines, operation, alarms, cleaning and care of this oxygen concentrator. Companion 5 Concentrator Quick Reference Guide offers basic information about specifications, alarm signals and filters. Maintenance Guidelines for Companion 5 presents cleaning, care and routine maintenance instructions. 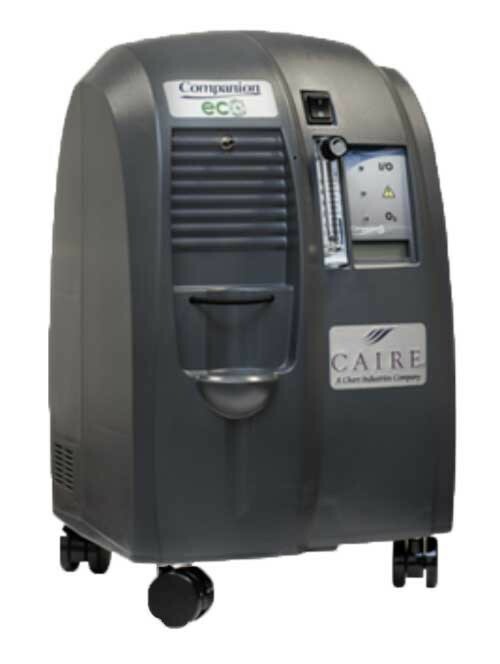 Troubleshooting for the Companion 5 Oxygen Concentrator displays a table of symptoms, possible causes and the corrective actions. 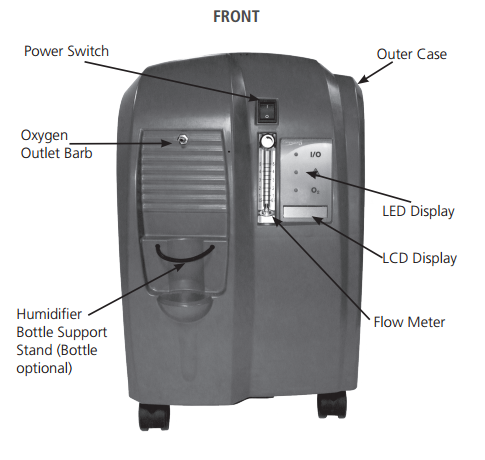 Companion 5 Technical Manual details the operation and maintenance for this home oxygen concentrator. Operates as expected. A little louder than I thought it would be. Water bottle I purchased after receiving does not work however.